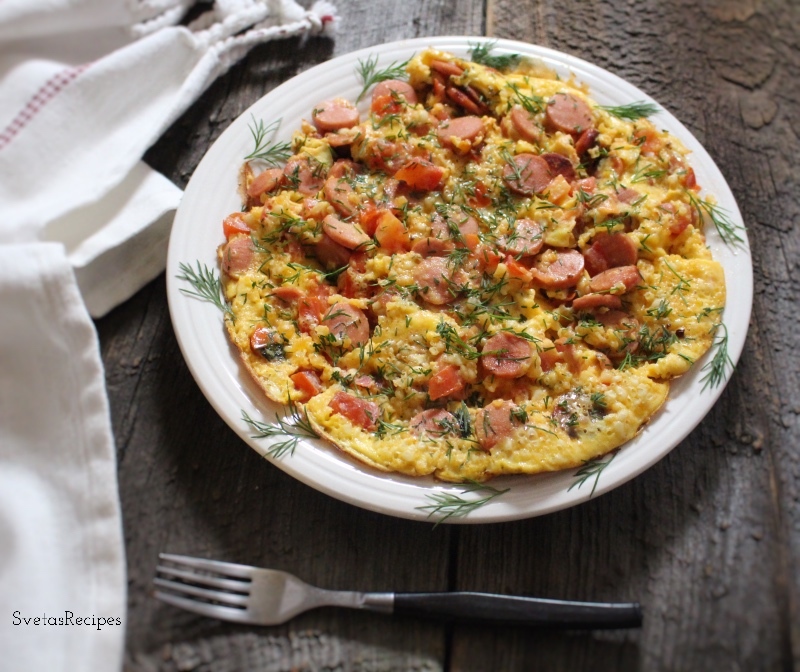 Sausage and Tomato Soufflé, Is a great recipe or omelet that is fried and after covered an egg mixture. I really recommend this recipe since it includes a lot of protein and is great for break fest. 1.) Wash, dry and cut your sausages, tomatoes and dills. Place your vegetables into a hot oiled skillet. Fry for 3 minutes or until golden on medium heat. 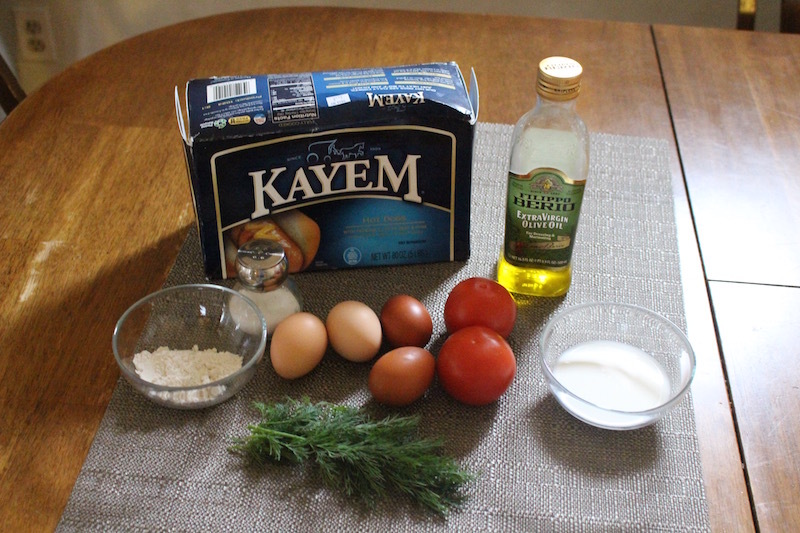 In a separate bowl mix your eggs with your milk. After add your flour gradually while mixing. 2.) 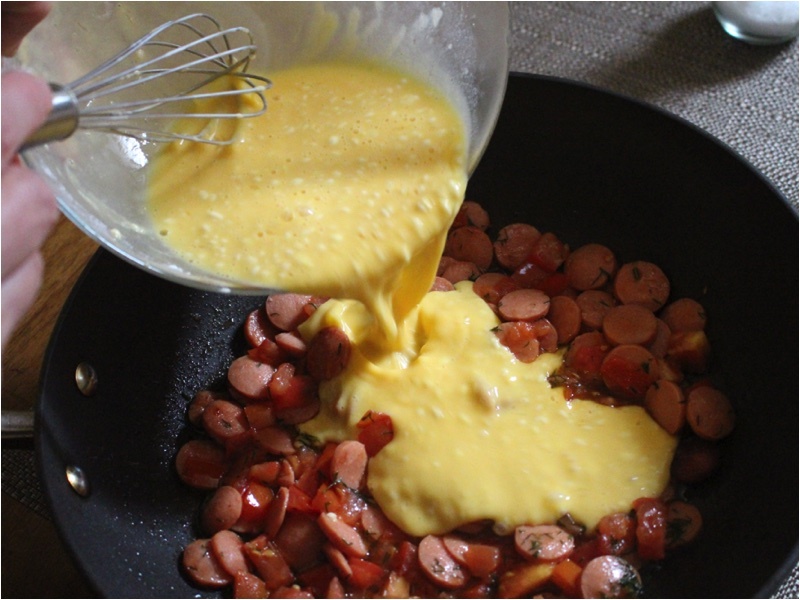 When your sausage is done frying add your egg mixture to the skillet and fry for 2 minutes on medium heat. Flip it over onto a serving dish and enjoy! Wash, dry and cut your sausages, tomatoes and dills. Place your vegetables into a hot oiled skillet. Fry for 3 minutes or until golden on medium heat. In a separate bowl mix your eggs with your milk. After add your flour gradually while mixing. 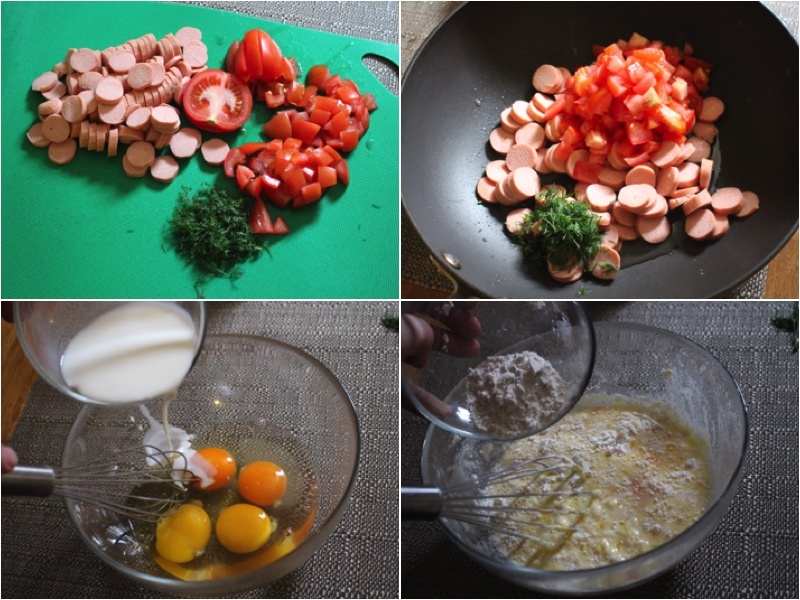 When your sausage is done frying add your egg mixture to the skillet and fry for 2 minutes on medium heat. Flip it over onto a serving dish and enjoy!